The total as of this writing was Trump with 279 Electoral votes from approximately 59,441,968 (47.5%) popular vote while Clinton held 259 Electoral votes from approximately 59,649,606 (47.7%) popular votes. Once again the election goes opposite the popular vote, something often criticized as are the men who designed the Electoral College such that the big state numbers have their advantage but face it being slightly marginalized by the setup of the Electoral system. First let us indulge in a quick review on how the Electoral College works and the reasoning for it being used by the United States. The system is easily broken down. Every state and the nation’s capital, Washington D.C. all get two electors for what is their Senatorial representation (Washington D.C, is treated as if it were a small state with representation of a single delegate in the House of Representatives and two Senators). After this each state receives an elector for each Representative they hold in the House of Representatives. California receives fifty-three Electors for their fifty-three Representatives plus two more for their Senators for a total of fifty-five Electors. Wyoming receives a single Elector for their sole Representatives plus two for their Senators for a total of three Electors. This allots greater representation per person for Wyoming over California by a ratio over five-to-one and it is this type of disparity which causes many to loathe the system. The reason the Founding Fathers went with this seemingly convoluted system was identical to the reason for a bicameral Congress with one side, the House of Representatives, set by population thus favoring the larger states and the other side, the Senate, with two per state providing the states themselves with equal representation regardless of population size or land mass. 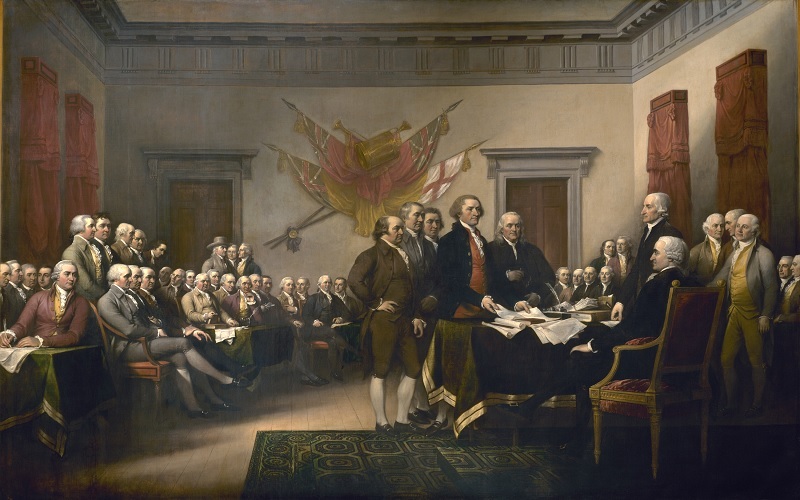 The Founding Fathers realized that should they have permitted straight democracy that this would have produced mass rule, followed soon by mob rule and then collapse as had every democracy throughout history, and they desired building a nation which would be more stable. The main difference came about when the House of Representatives ceased being based on one Representative per set number of people to a set cap of four-hundred-thirty-five Representatives and the States receiving a minimum of one Representative and the remainder allotted proportionally. This also capped the Electors in the Electoral College at five-hundred-thirty-eight once Washington D.C. was allotted three Electors despite not having any actual representation in the Congress. Next we need talk about the polling data being so skewed throughout the campaign and only closing in the final thirty-six hours though the lead did narrow slowly before the rush to even the night before Election Day. There are numerous claims as to why the polls consistently favored Hillary Clinton over Donald Trump. One claim was that their intent was to press the idea that Trump could not win, period. This would, in theory, berate Trump supporters with so much bad news wearing them down such that they would give up and not bother to vote. The problem with this tactic is the vast number of Trump voters fell into two main categories, those who believed that a President Trump was the answer to America’s woes and those who were voting to emphasize their view that America was failing them and its Constitution. The first group was true believers with many voting for their first time despite having been registered for years. This was evidenced by the record number of voters in Republican primary elections. These people would have walked over burning embers to have voted Trump just as Hillary Clinton’s true believers were voting for her no matter what. The second group was making their voice heard loud and clear as they had a message for America and thus were determined to vote. A majority of Trump voters were with him at the start when he was one amongst seventeen and stayed the course. The third group of Trump supporters was the “stop the Hildabeast” and would stop at almost nothing to prevent the catastrophic consequences of Hillary Clinton being coronated President. Trump was not their choice, he was their life raft and these people were highly motivated to vote but were also motivated not to tell pollsters the truth about their vote choice. There was a minimum number of people who were pulling the Trump lever in the voting booth who were not firmly entrenched in the ranks of Trump supporters though for many a varied and different reason but were all there for the whole four quarters and would have remained just as committed should the race have gone into sudden-death overtime, which it came close to doing. Then there is the fact that the media is skewed to the left end of the political spectrum. When one considers that Fox News is touted, even victimized cast as a reactionary, right-wing, extremist, conservative to the point of reactionary news station where every anchor and host must prove their ultra-conservative bonafides in order to get in the door, then it becomes obvious that the remainder of the news is far more liberal and even leftist by comparison. What then pushes the rest of the news syndicates even further left is this definition of every and any-body of note at Fox News is, by definition, ultra-pure reactionary-conservative which presumably includes, wait, wait, wait for it, Chris Wallace (see image below). As per the link, Chris Wallace worked at ABC News for 14 years where he served as the senior correspondent for Primetime Thursday and a substitute host for Nightline. Before that Chris Wallace served a NBC’s Chief White House correspondent from 1982-1989. Chris Wallace moderated Meet the Press from 1987-1988. 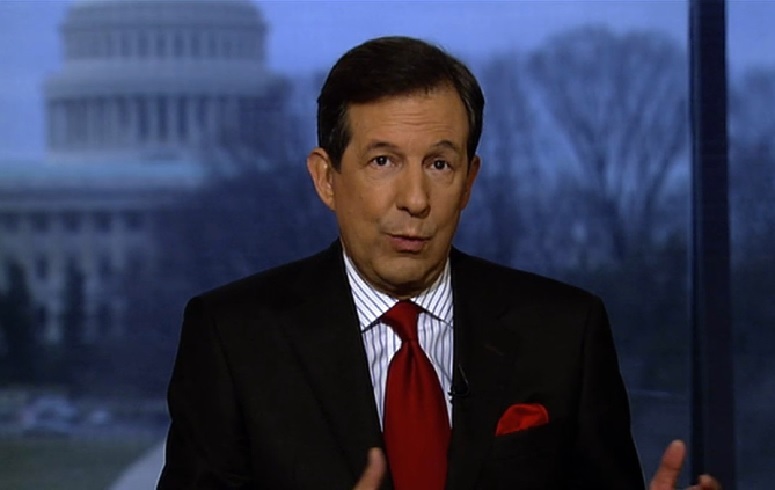 Chris Wallace also anchored the Sunday edition of NBC Nightly News from 1982-1984 and 1986-1987. Chris Wallace began his career with NBC at WNBC-TV (NBC 4) in New York in 1975. Chris Wallace is, at the most extreme of his leaning right, a moderate of impeccable discernment. Fox News is considered to be so far to the right because the rest of the news groups live with the academics in unassailable Ivory Towers found only in the extreme leftward climes. Fox News is to the right of almost all news services with the exception of CBN (Christian Broadcasting Network) and a few select others and many on-line commentators most of whom have their following and limited audiences. Like in all things political, it is all relative to where you yourself choose to stand. Us, well, we stand so far off to the outside that we fall Beyond the Cusp. Meanwhile, let’s get back to the election. Donald Trump did win, so stop pinching yourself. Hillary Clinton gave an honest and worthy concession speech in which she expressed her hopes that though she was not fated to break that glass ceiling, that perhaps one of her many supporters, possibly one in the hall listening as she spoke, would be the woman to break through shattering that glass ceiling once and for all. Trump was gracious as well in his victory comment where he praised Hillary Clinton for her determined and high pressure campaign which had pushed him to strive and become a better person in response. Trump thanked and congratulated the Republican candidates and politicians who backed him for their support. He thanked Dr. Ben Carson, Chris Christie, Rudy Giuliani, his family including parents, brother, his other brother who has passed on, his wife, children and so on and thanked a number of workers he noted in the crowd. He was the real Donald Trump, the Donald who stops and talks with the guys digging the ditches at a construction site and the carpenters, brick layers, crane operators all before, after and even during holding higher level talks with the foremen, supervisor and engineers. This is one trait which makes the Donald who he is and why so many speak so highly of him, he actually takes the time to recognize everyone and give all a piece of the praise and credit. We will need to wait and see how this translates to the insular nature of the Presidency and life in a bubble, a very nice bubble, but a big white mansion style bubble called, remarkably, the White House. One thing for sure, being President is far more challenging than running for President and we are about to watch a capable man try and meet the biggest challenge of his life and starting out with two outs, man on second base, a three balls two strike count down five runs in the top of the third inning. It will be vital to equip himself with a top notch team as he cannot, nor would we here at Beyond the Cusp wish, run the effort almost singlehandedly. His pick for running mate showed good judgement and was wise but it will have to wait for more trust, let alone praise, to be lauded upon Donald Trump. He will have an excellent chance to prove his metal right out of the box filling the huge gaping hole left by the late Justice Antonin Scalia in the Supreme Court bench. This selection will act as an initial window to Trump’s soul, an entity which was called into suspect early on by some stalwarts of the Republican Party. Should this choice not fully measure, up these suspicions are very likely to reappear and do so very quickly. The main Cabinet appointments will come at the State Department, Secretary of Defense, Education Secretary and United Nations Ambassador. For this last office returning John Bolton, should he decide to be available, would be a strong start. Rudy Giuliani would be a strong choice for any high profile position but might be best used to either lead the deconstruction of the Department of Education returning virtually all power down as locally as possible and keep almost nothing in Washington D.C. which could save many a school system as they would be liberated to spend all their time on teaching and none on meeting testing requirements, indoctrinations ordered from Washington and meeting near endless paperwork requiring additional staff who are not in any manner connected to teaching. They simply document compliances and send the forms to their school district, county, city, state, Washington D.C. and file copies with the office, every vice Principle, the Principle(s), Advisors, required teachers, required parents and whomever and whatever else is demanded. Some of these forms are actually daily reports and that is what many school systems have become, report generators which produce endless streams of paperwork and uneducated graduates whose school years are documented thus presumed productive. Donald Trump’s choice on who leads the Veterans Administration will be carefully watched as will any changes which are implemented. Here is another place where paperwork takes precedent over actual work. Hopefully Donald Trump will be able to bring a fair number of real administrators and managers from the real world into government positions where they can do some real good for the government and its ability to serve the people. 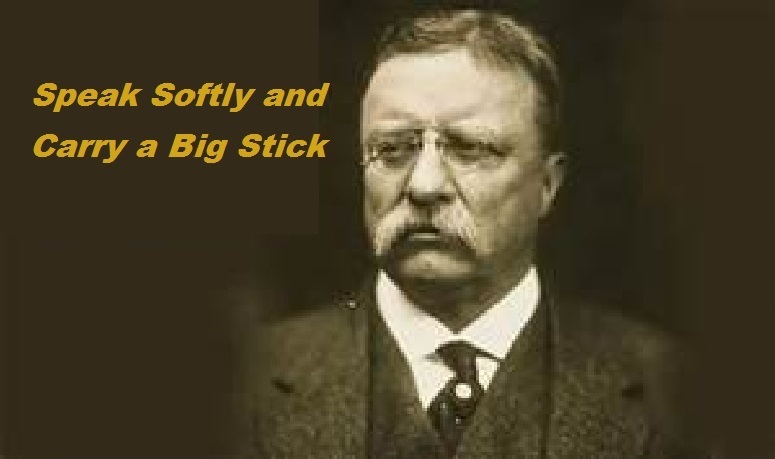 Needless to go further than to simply say his appointments will speak very loudly and hopefully be armed with Teddy Roosevelt style big sticks. Tell the truth, not only do the people of the United States await Donald Trump’s important appointments’ names, but many around the world are also waiting to see who he is able and desires for top spots, especially his inner circle which includes but may not be limited to the Foreign Affairs Advisor, Secretary of State, Secretary of Defense, Security Advisor, Joint Chiefs of Staff amongst others. What will be another indicator is who a President Trump calls to the White House from the Republicans in the House of Representatives and the Senate as well as who, if any, he invites from the Democrat side of Congress. 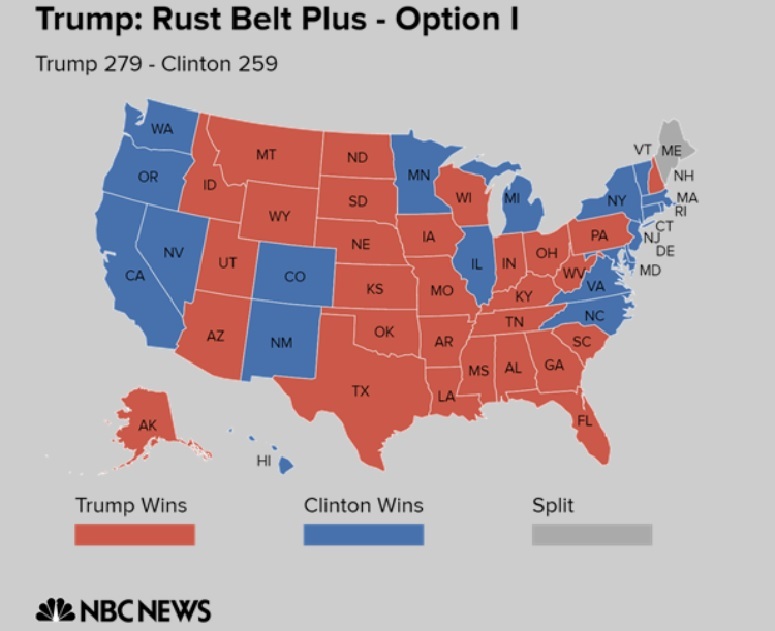 These choices could prove to be greatly tactical as it may establish who a President Trump feels will best work with him on his agenda. In conclusion, it will be educational once we start to see the choices Donald Trump makes officially sending to the Senate for their review and vote and those he keeps close under his vest and does not seek the Senate’s approval. Will a President Trump continue the underhanded and unethical practice of having “Czars” who actually perform an identical function as the Secretary over a department who the Senate passed review such that the President had two advisors for all too many departments and the actual Secretary was often left out of the loop and the Czar would actually run the show dictating policy and decisions to the actual Secretary serving the Cabinet. This was simply the means President Obama appointed some controversial people granting them the power equal or higher than the Cabinet Secretary while avoiding Senatorial oversite as per the Constitution. Ending this practice and setting up even a Constitutional Amendment which would define people with certain powers and responsibilities regardless of their title requiring Congressional oversight and be vetted and approved by the Senate as does any other appointee with such powers. Such a move might not prevent a future President from acting in a similar manner but it will empower Congress to then act having the Constitutional leverage to do so. Remember that the first hundred days often set the tone between a President and the Congress, people, national leaders and the world in general. Trump’s initial steps in the Middle East and North Africa will reveal his true foreign policy outlook. The man will be walking into the middle of a forest surrounded by swampland with an angry beehive just over his shoulder and a bear coming for the honeycomb sure to disturb the hive. It will likely be a dark and threatening sky with a hard rain approaching and tornado sirens blaring in all directions. Welcome to happy old Washington D.C. where this is the standard start of a day with a bright outlook and do not ask how a bad day starts, just hope you never find out but as a hint, it usually follows a night where you did not sleep and will be making a speech to the nation the coming night to explain that which you are not totally sure you understand, but make that speech and speak of the solution and whatever you do, do not let them see you sweat and make sure you are dressed appropriate to the news and pray that you get to sleep more than three hours the next night. Mr. President; President Trump, welcome to the world where real people play the game of risk with real wars full of intrigue and always an unknown factor lurks just beyond the cusp out of view arising only at the worst possible time, and we have not even spoken about the media. Media has a single rule you must always remember, they are not your friend, your buddy or somebody you should ever trust because you are the biggest story they have even if they need make up two thirds, they will do so thus be ever vigilant when speaking and they are visible as that places them within hearing that one-third out of which they can manufacture a scandal, and they get paid to do just that. Good Luck and may Heaven assist and guide you throughout your Presidency. The election this fall is not about Islamic State, al-Qaeda, Taliban, or other security. It will not be about most of the items the media is talking about. What it is about is the economy, jobs, employment, wages, and everything about the economy but not in the obvious ways being discussed. Where will this next Presidency balance? The main item is which way does it benefit the United States most, continuing internationalism or returning to nationalism. The media and most politicians are pushing this global economy, global integration, global cooperation, global solutions while hiding a dirty little secret, they are selling global as the solution while having the United States and the advanced nations pay for everything while equalizing the global playing field, whatever that means. We had a debate last night and we heard more of the same. Clinton claimed more globalism and taxes on the rich and Trump tried and may have meant to sound like Reagan. What they were not telling the people is that Clinton was using the same internationalism where the world matters more than the United States so in order to equalize the world the United States and the advanced world has to bleed to allow the rest of the world to catch up and then all will be well and how wonderful the world can be. Trump is actually claiming that every nation take their own and put them first and attempt to allow the nations who are leading the world to continue to be the leaders and then assist other nations in making gains and follow and give them access to advances as they are able to implement these advances. So, which way will work best. That depends on which nations one decides should be permitted to advance their own interests than to share with the world. Internationalism is wonderful if your country is on the receiving end and not so wonderful if you are being bled to bring the other nations up to their level. The problem with that are many of these nations that are presumably being given advances in order to raise them to the same level are led by dictators who are enriching themselves and not making their nations any closer to the advanced world as that does not directly benefit them. What these dictators are not being intelligent about is that had they advanced their nation they would have enriched themselves in the process. They are not even thinking nationally rather than internationally. Internationally is a recipe for disaster as it inhibits the leaders from leading and demands that the least efficient be granted the largess while the leaders are placed in financial straight-jackets. Internationalists place a stop sign where all nations must park their own business and park their nation by the side of the highway and wait for the rest of the world to reach an equal position. The problem is that many of these nations, which they are waiting for to reach the same point, are themselves broken and not gaining and will never catch up as they are not even making any effort to reach the next level. Internationalism believes that making all nations equal will solve the world’s problems and inequalities, despite it not ever bringing the rest of the nations to first world status. Nationalism is the opposite view which allows each nation to advance at their own rate and still demands that the first world assist the developing nation but does not demand they try to make equal those nations so dysfunctional that they are the closest thing to an economic black hole as can be found. Nationalism rewards each nation for their efforts and allows each nation to gain at their own speed. Allowing the leaders to lead gives other nations a target and proven path they can emulate but without national gain by the wealthiest nations to blaze the trail for the others to follow. The basis for nationalism is it allows each nation to set their own monetary policies and is against unifying monetary policies as such a system is flawed and destroys the lesser productive nations which has been proven by the European Union Euro which has benefited Germany while leaving Greece behind. Nationalism allows each country to do the best for their own people and society. That does not mean that nations which are developing should not be aided and it is in the interest of the most advanced nations to assist those nations who are developing and making the right choices and allowing them to benefit from the experiences of those nations who have traveled those roads before them. But those nations which are completely dysfunctional cannot be assisted as long as their governance is broken and until the nation decides to change their dysfunctions there is no reason to throw good money after bad. Internationalism is a wonderful, feel-good policy filled of kind words and low on actual results. Internationalism demands that all nations be made to give according to their ability and the funds are granted to countries according to their needs. Internationalism demands open borders allowing free immigration with no limits or criminal and other background checks or other limits or restrictions. The policies sound as if they will allow all nations equal opportunities in word while defining this policy as bringing all nations up to the same level and making things fair for all nations. The truth is that this is accomplished by tearing down the greater nations while benefitting some of the least deserving nations who are corrupt criminal enterprises more than they are actual functional nations. Rewarding the worst while impeding the best prevents progress and will constantly restrict progress and the discoveries of new technologies and new systems which would result in assisting those nations seeking a better future to implement the proven methods. To get an idea on the difficulties caused by internationalism there is a perfect example which we can observe, the European Union. How has that equal currency been working for over half of Europe who are not Germany or Britain but are Greece, Spain, Italy and even France and many of the former Warsaw Nations. The common currency has taken the small differences of economic production where the agrarian economies which work on a different production level having to survive with the same policies of the industrial and other highly developed nations. Permitting each nation to perform at their highest level and to their full potential will set target paths for other nation to follow along the proven road set by the highest performing nations. Progress is the fuel that raises all nations in turn. 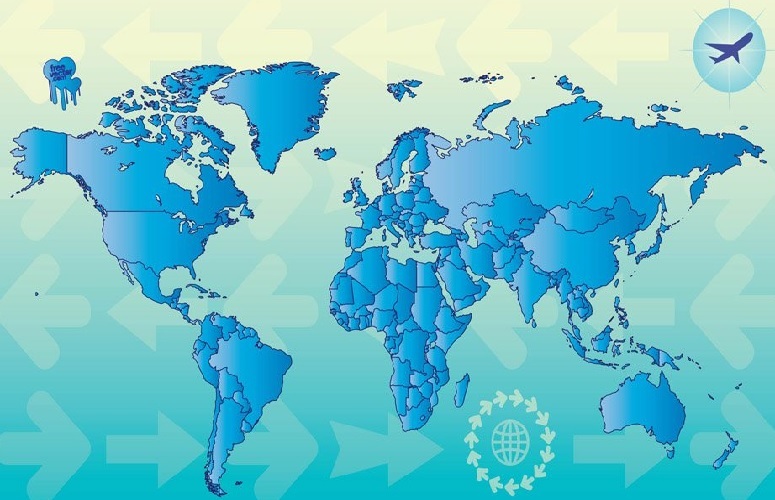 Progress provides the test paths and allows developing nations to benefit from their more advanced nations but only when they decide to advance. No nation could be forced to grow their economy and advance their national infrastructure and when a nation refuses to advance itself then forcing the rest of the world to wait for such a nation to reach an equative level is ridiculous and counterproductive. Internationalism is wonderful idea if it could function as promised. Nationalism is the dirty sounding word which is accused of being selfish because it benefits the wealthy nations and prevents developing nations from ever reaching the top level. The obvious fault is that accusation is completely false. If nationalism prevented up and coming nations from ever becoming the top nations were true then China would have ruled the world, Spain would be a leading nation, Greece would be the top nation in Europe, Egypt would be the most advanced nation in construction and engineering, Persia would still control East-West trade routes, Portugal would be a great power with colonies throughout the world, and the Hittites would be the great power in the norther worlds of Europe through to Turkey. Top nations change and have changed throughout the history of the world while nationalism was the rule of the world. Internationalism has caused massive stagnation as the world as a whole is not permitted to advance because the leading nations are held back presumably for the benefit of the lesser nations. This will always be a supported philosophy as there will always be more developing and undeveloped nations than leading nations as only a few nations will be in the top ten percent, which is why it is referred to as the top ten percent. Internationalism has been working so well over the past twenty to thirty years since 1979 while the rest of history was pathetic and without economic advancement advances by all nations and we are still using salt as a currency, aren’t we? The progress from salt as money to salt as something on almost every dinner table was a result from nationalism, not internationalism. Compare the two with eyes open and the preferable form, open competition or controlled advancement, the choice could provide opportunity or a slow decadence and eventual decimation. Internationalism is welfare on an international scale much in the form of the Soviet Union and the initial Plymouth Rock Colony which would have starved if not for the Native Americans who grew and hunted for surplus for the winter and had sufficient to teach and feed the Pilgrims. After that experience of all get all they need, while most gave nothing in effort, they introduced a new program where each family kept a percentage of what they grew and the remainder was shared, the amounts of food skyrocketed. That is the balance which nationalism can produce, the most advanced achieve at their highest level and those developing nations learn from those leaders and in time some will replace them as they eventually falter. That is the secret of effort based economies, the people or nations at the top changes with time when another makes decisions which make them even more profitable as the other sinks under likely bureaucratic waste. You decide. The Clinton Foundation, or should we call it the Clinton’s Fundnation, where donations of varying sizes were deposited often in direct correlation to the length of time they were granted with Secretary of State Hillary Clinton. Well, not all the visits with Secretary of State Clinton were linked to contributions to the Clinton Foundation; some were linked to very impressive payments for speeches by one former President William Jefferson Clinton. Of course we are told that there is no smoking gun or definitive proof or actual links, well, provable links. It is remarkable the degree to which far too many highly placed law enforcement agencies and individuals voluntarily develop tunnel vision. It is a miracle they can drive a car safely with such obstructed eyesight. Yet the news has been filled with reports about the horrors and downright dastardly practices and unconscionable business relations which apparently have plagued Donald Trump over the years. We can only assume that previously law enforcement and business oversight and enforcement departments have suffered an equal measure of tunnel vision when it came to policing the business deals of Donald Trump. Of course the surprising item is the lack of law suits brought against Donald Trump if so many of his business dealings were actually as fraudulent as we have been led to believe. There was one business venture though which truly could have qualified as fraudulent had it actually made the guarantees or promises claimed by the media, and that was Trump University. Fortunately for Donald Trump the only actual guarantees given by Trump University were that one might be able to benefit and enrich themselves with the lessons and they would receive a diploma and a picture of them with the facsimile of Donald Trump. The picture with the cardboard Mr. Trump was only worth slightly less than the wisdom one might have gleaned from the lessons. So, there has seemingly been loads of the blind leading the blind in law enforcement around both Presidential candidates if the media reporting on one and the claims of ignoring direct evidence on the other are to be believed. This leads to one big question, which one is the least crooked and least seriously soaked in criminal behavior and thus the lesser choice to be President. I know what you’re thinking, where am I going with this and that I sure started with some twisted and tortured lack of logic. Well, why should editorial commentary here be any less confusing and in the dark than the rest of the media? If you answer is because you have come to expect better, then thank you for your confidence and read on, it will hopefully be worth your time. The problem is that far too many of the politicians are crooked as a broken and twisted ancient oak tree with the varieties of corruption, insider trading (which is actually legal for members of Congress and the members of the Administration of the President), bought and paid for political hacks, politician turned lobbyist and other crimes of unimaginable complexity and criminal behavior obvious even to the most casual of observers which reach out from the rotting central core of the political tree in the ever outward reaching branches seeking new and more imaginable ways to deceive and steal. Are there some politicians who are clean, respectable and trusted to work for their electorate? Astonishingly, yes. Unfortunately they are also the politicians shunned by the opposition party and their own party and unfortunately cannot seem to get together on issues due to their different beliefs and political orientations. If only there were some means of getting the true representatives of the people to work to clean up the rest of the political quagmire, that would be simply grand. Unfortunately most of the truly honest representatives of the people fall into one of a few categories, socialists even bordering on communist, religious conservatives often referred to as the religious right, and the true believers of causes which are as varied as often separate be the narrowest of degrees yet still chasing mutually exclusive dreams as one can paint. There are likely more than a dozen of causes which come under the ecological umbrella from save the whales or the seal cubs to save the rain forests as well as stop acid rain who sometimes protest with the save the oceans and even save the polar bears who have been taking care of themselves quite well. Then there are those who want electric cars, hydrogen cell cars, universal transports which take everyone to their destinations, public transport such as busses, light rail or subways and those who want to ban all vehicles which run on petroleum even including aircraft and the rigs without which we would soon have less choices of food and other goods, but that is not their concern. There are some who desire making the United States a Christian based nation where Christianity would become the recognized religion of their state or even the nation. And then there are our favorites, the constitutionalists who simply desire to have the United States return to the limitations intended by the Founding Fathers. Those chasing causes, dreams some call them, are probably the least harmful as they are easily predictable and can be clearly understood. The less than honest politicians are also predictable once their motivations and those who own their pocketbook are understood. There are those who have so many positing bribes, sorry, contributions and charitable donations, which work their way back to the politicians through nefarious and twisted paths making them not so obvious. Let us say that a politician or group of politicians receive contributions to their campaigns and to supportive political action committees (PACs) as well as donations to charities or other groups who also contribute to the election campaigns where all this cash finds its way back to the politicians and they simply promote a bill which provides funding for some aid package helping the poor or the sick in impoverished nations which in turn buy drugs or food using much of the aid from the United States from those who initially arranged the funding from the varied sources for their campaigns. The twisted paths and the indirect funding leads to crossing the eyes of any investigations such as there is nothing directly untoward making these actions prosecutable. There are thousands of scams which have been operating for more years than any care to admit. Ask historians or political studies professors and one can learn that these problems assisted in the fall of empires past and have predated writing. There are theories about what is the oldest profession and it very well may turn out it was politician and the first politician was the individual who convinced the leader of their clan that they needed a religion and they should be the priest or medicine man or any position which did not require brawn as much as brains. That politicians got to eat without having to hunt as hunting was dangerous and too often the hunting parties came back minus one or more members while priests or medicine men stayed at the camp near the fires and out of the rain. We have come a far way since then and now we have entire echelons of politicians in layers upon layers doing all sorts of functions. But in modern society the politician is not the greatest menace, just the most efficient ones where the greatest concentration of money can be found. The menace are those faceless individuals who sit in offices and cubicles making up rules and regulations and even law in some instances when directed to flesh out legislation which is all too often loosely written and paints broad swipes leaving room for interpretations and that leads to mischief. There was a temporary position a number of years back which was referred to as the Regulations Czar whose lead individual was Cass Sunstein known officially as Administrator of the Office of Information and Regulatory Affairs, Office of Management and Budget. The position was directed to review laws and legislation from the last fifty years or so and define or formulate new regulations which could be enacted with a special emphasis to use these reviews to enact and formulate regulations supporting policies the Administration was having difficulty passing through Congress. How many thousands of additional regulations were discovered hiding in laws recent or ancient we probably will never discern. Things have gotten to a choking point with the numbers of regulations, requirements and other rules holding an equivalence of laws that the average citizen cannot be expected to even have knowledge of the extents and depth of what is considered illegal and can place one on the wrong side of the law in court. The sad truth is difficult to put one’s arms around but be it the United Statesor be it Briton or any nation in Europe or potentially the entire world, the reality is we all break laws as part of our normal everyday lives and the criminality of living increases by thousands of new laws and regulations annually. This is the real criminal output of politicians who are paid to pass laws which outright or through inferred regulations give those who can pay an advantage over the rest of the population. This is the crooked legacy which is almost as criminal as the money stolen from our pockets through taxes, fees or higher prices so that others can benefit from corrupt politicians. This is why elections matter and primary elections this year proved to be the surprising ones which mattered. In the United States the choice is between two political forces either of which will provide the media, and especially us if we choose, more to cover than they will know what to do with. One will have half the media screaming about the illegalities with the other half excusing it while the other will have half most of the media claiming they are completely lost as to what are the motivations of the actions from the White House and others will play the game of guess what’s up next. Either way we will have plenty of news we just as soon would rather tune out, but it will affect our lives and the effects will be anywhere from minor inconveniences to drastic enough to threaten the entire planet. The real problem is none of the candidates, including third party, have even an inkling about the state of the world and what needs be done to repair the most egregious of the difficulties or threats, and it will be some of the threat which will offer the greatest danger if not mitigated and mitigated right out of the gate. Many will claim that will simply cause more difficulty but indifference to the world of problems has worked so well that we’ll gladly risk actually addressing threats and problems over leading from so far behind you may as well not be there at all, which too often was the case, Benghazi anyone? Please America, choose well.